The Howard Hughes Corp. is scheduled to present plans in May for its $20 million upgrade to the Kewalo Basin Harbor that’s directly across from its 60-acre Ward Village master-planned community in Honolulu. The Hawaii Community Development Authority has scheduled a presentation hearing for May 4 at 1 p.m. at its office on Queen Street in Honolulu. A decision-making hearing is scheduled for June 1 at 1 p.m. at the same venue. 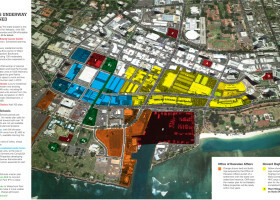 Howard Hughes’ Kewalo Harbor Development Co. LLC is requesting a development permit from the HCDA, the state agency regulating development in the Honolulu neighborhood of Kakaako, to do the upgrades. The project, which has been estimated to cost between $15 million and $20 million, consists of building 214 boat slips in two phases, as well as various maintenance, upgrades and modernization of existing harbor infrastructure, including installing a dedicated marine fueling facility. Last week, the Texas-based developer, which took over management duties of the harbor in September, received approval from the HCDA to undergo a $3.5 million upgrade on the Fisherman’s Wharf loading dock at Kewalo Basin Harbor that is part of the overall renovation of the harbor. The Howard Hughes Corp. plans to start construction this fall on its multimillion-dollar redevelopment of Kewalo Basin Harbor between Downtown Honolulu and Waikiki, according to the state agency regulating development in the city’s Kakaako area. The Texas-based developer’s Kewalo Basin Harbor LLC selected Honolulu-based Sea Engineering Inc. to do the work after issuing a design-build request for proposals in late October. The marine-related engineering, construction and diving services firm, which was founded in 1973 by University of Hawaii graduate students, was chosen by The Howard Hughes Corp. (NYSE: HHC) in February over Hawaii Harbors Constructors, a joint venture between Hawaiian Dredging Construction Co. Inc. and Healy Tibbits Builders Inc.
Almar Management Inc., a California marina operator that previously leased the harbor from the Hawaii Community Development Authority before Howard Hughes took over in September, also responded to the RFP. Howard Hughes is in negotiations with Sea Engineering and is projecting five months of design with harbor repair construction starting in the fall, according to the HCDA, which noted that the harbor is operating at near full capacity. Sea Engineering is proceeding with the final design of the repairs and obtaining necessary pre-construction permits for harbor jetty repairs, the state agency said. The developer declined to specify what type of investment would be going into the land part of the redevelopment, although it has been previously noted that a $20 million investment would go into renovating the harbor itself, including the boat slips and other infrastructure. Howard Hughes has said that the redeveloped harbor could include a fresh fish restaurant and an oceanfront community center on the makai, or ocean, end of the harbor, which sits directly across from its 60-acre Ward Village master-planned community. The developer has been holding community meetings to come up with ideas for the project, which includes upgrading restrooms, adding food service and a convenience store for boaters, security and other improvements. Kewalo Basin currently has 144 boat slips i n various states of disrepair and is in need of an overhaul, according to the HCDA, which assumed control of the harbor in 2009. 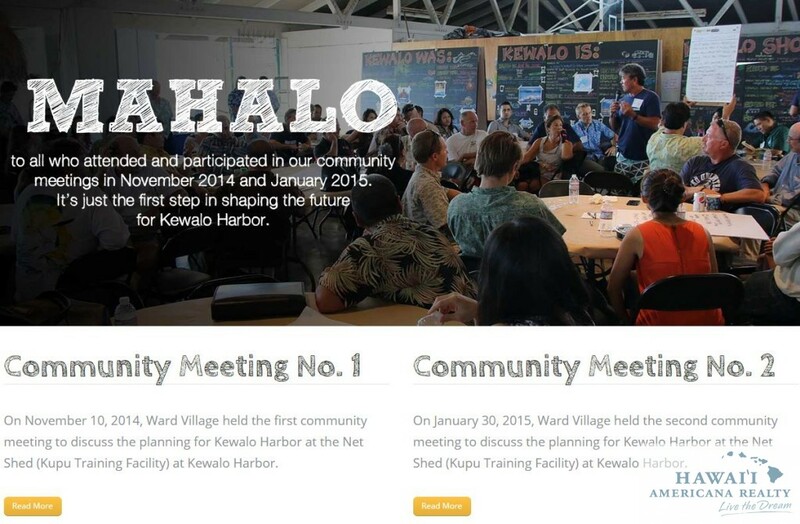 Filed Under: Featured, Howard Hughes Corp, Kewalo Basin Harbor Tagged With: Howard Hughes Corp, Kewalo Basin, Sea Engineering Inc.
On January 30, 2015, Ward Village held the second community meeting to discuss the planning for Kewalo Harbor at the Net Shed (Kupu Training Facility) at Kewalo Harbor. After the presentation, an ‘open house’ session allowed guests to freely peruse the various plans, sketches and imagery to ask questions and provide additional feedback to the development team. A Japanese partnership is planning to start construction in September on a $40 million multi-use facility at Kewalo Basin in Honolulu that would include waterfront retail, restaurants and a live entertainment venue. Kewalo Waterfront Partners Inc., which was formed by Japan-based Good Luck International Corp., and fellow Japan firm Hinamari Hawaii Inc., said in a draft environmental assessment that the project is anticipated to be completed by December 2016. The entity also said that it will provide the primary financing for the project, which includes four buildings totaling 45,000 square feet. The developers are still negotiating lease terms with the Hawaii Community Development Authority, according to Kevin Cockett, a Honolulu public relations executive working with Kewalo Waterfront Partners. If a lease is secured, the developers also still need to secure a development permit. “We’re hoping to give a presentation regarding the project to the HCDA in February at a regularly scheduled meeting,” Cockett told PBN, noting that the construction timeline will likely change. Located on about two acres between Kewalo Basin Harbor and Ala Moana Beach Park on what is now a surface parking lot, the buildings would be built no more than 45 feet near the waterfront. The first building, which would be located near Ala Moana Boulevard, will have commercial uses including waterfront retail consisting of various retail stores and small restaurants. The second building would have similar uses as the first building. The third building would include a live entertainment venue and a restaurant and bar on the ground floor, and office space and open decks on the second floor. A fourth building, which would be separated from the other buildings by a 24-foot wide drive aisle and would be located east of the third building, would have a cafe on the ground floor and a multipurpose hall on the second level. A 250-stall garage in a two-level structure would be located between the first and third buildings. Honolulu-based Environmental Risk Analysis LLC submitted the draft environmental assessment to the Hawaii Office of Environmental Quality Control, with an anticipated finding of no significant impact to the environment. About 100 community members and stakeholders gathered at the “Net Shed” in the Honolulu neighborhood of Kakaako to talk about revitalizing the Kewalo Basin Harbor. 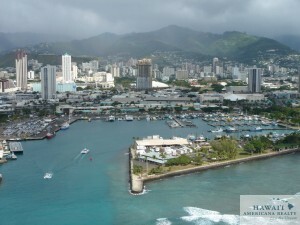 The Howard Hughes Corp. took over management of the small boat harbor, which is between Downtown Honolulu and Waikiki, in September. The Howard Hughes Corp., which took over management of the Kewalo Basin Harbor in Honolulu in September, is considering redevelopment options of the aging small boat harbor, including upgrading restrooms, adding food service and a convenience store for boaters, security and other improvements. Late last week, executives from the Dallas, Texas-based developer gave PBN an update on the project. 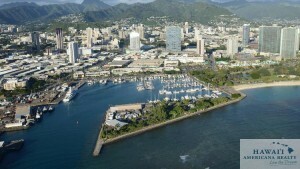 The Howard Hughes Corp. (NYSE: HHC), which has a pair of luxury high-rise condominiums under construction across Ala Moana Boulevard, with development rights for a total of 22 condos in its Ward Villages master plan, recently kicked off the public meetings process for the renovation of the harbor between Downtown Honolulu and Waikiki. About 100 people from the Hawaii Community Development Authority, the Office of Hawaiian Affairs, Kamehameha Schools, environmentalists, Friends of Kewalos, surfers, University of Hawaii and other community members attended the recent talk-story session at Kupu’s Green Training Facility, known as the “Net Shed,” to gather information about where it was, where it is now and what it should become. 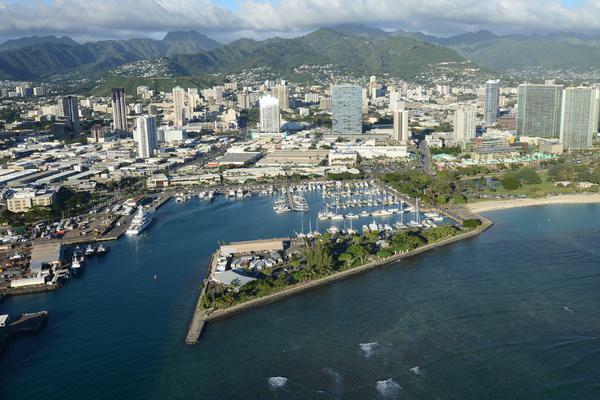 Nick Vanderboom, senior vice president of development in Hawaii for The Howard Hughes Corp., told PBN that first off, it will begin replacing piers and the utilities at the small boat harbor. Next year, it will start the in-the-water improvements. The developer also will be holding additional public meetings regarding the harbor, although nothing has been scheduled just yet. The Howard Hughes Corp. secured the lease for the harbor for up to 45 years in a public-private partnership aimed at revitalizing the small commercial boat harbor. 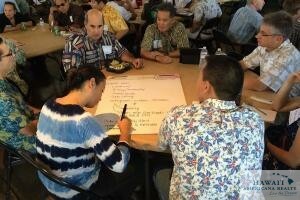 The developer and the HCDA, the state agency overseeing the redevelopment of the Kakaako neighborhood across the street from the harbor, recently traveled to the Mainland, including Texas and California, to conduct research that will help with the upgrade of the harbor. Kewalo Basin currently has 144 boat slips in various states of disrepair and is in need of an overhaul, according to the HCDA, which assumed control of the harbor in 2009. The Howard Hughes Corp. has committed to spending millions of dollars to improve the harbor with security upgrades and dock renovations, to benefit the charter boat businesses, fishermen and other harbor users. The Howard Hughes Corp. will take over operations and management of Kewalo Basin Harbor, between Downtown Honolulu and Waikiki, for up to 45 years under a lease approved Friday by the Hawaii Community Development Authority. 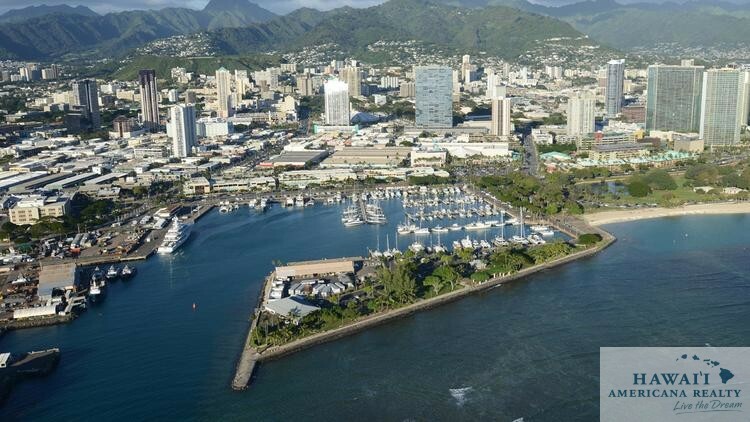 The Hawaii Community Development Authority on Friday voted to allow The Howard Hughes Corp. to lease Kewalo Basin Harbor for up to 45 years in a public-private partnership that could revitalize the small commercial boat harbor between Downtown Honolulu and Waikiki. Under the lease approved Friday, The Howard Hughes Corp. (NYSE: HHC), the Dallas-based developer of the Ward Village master plan across the street from the harbor, will take over operations and management of Kewalo Basin Harbor for a term of up to 35 years, with a 10-year option to extend. Under the terms, Howard Hughes Corp. will pay the state agency about $500,000 upon execution of the lease in August, and then a base rent until the developer recoups its initial improvement costs, which is estimated to take about 12 years, and HCDA spokeswoman said. After that, the developer will pay a percentage rent of 16.5 percent for the remainder of the initial 35-year term, with the rent rates opening for renegotiation for the 10-year extension period, she said. The developer is expected to pay a total of approximately $14.4 million in base and percentage rent during the first 30 years of the lease, the HCDA said. Kewalo Basin currently has 144 boat slips in various states of disrepair and is in need of an overhaul, the HCDA, which assumed control of the harbor in 2009, said. The Howard Hughes Corp. has committed to spending millions of dollars to improve the harbor with security upgrades and dock renovations, to benefit the charter boat businesses, fishermen and other harbor users. Nick Vanderboom, senior vice president of development for The Howard Hughes Corp., noted that Victoria Ward sold the fishery of Kukuluaeo to the territory of Hawaii on July 25, 1913. The Howard Hughes Corp., which has plans to add more than 900 residential units in the first phase of its Ward Village master plan in Kakaako, has entered into exclusive negotiations with the Hawaii Community Development Authority to develop and manage the nearby Kewalo Basin small-boat harbor. The HCDA, at a regularly scheduled meeting on Wednesday, decided to award Texas-based Howard Hughes (NYSE: HHC) a 60-day due diligence period in which to complete a lease for the harbor. California-based Almar Management, whose contract to manage the harbor expires Feb. 28, also presented a plan for the mixed-use harbor. The Howard Hughes Corp., which has spent the last three years planning its transformation of Ward Centers into Ward Village, said that the opportunity to rehabilitate and manage the Kewalo Basin Harbor was not contemplated in its original plans. 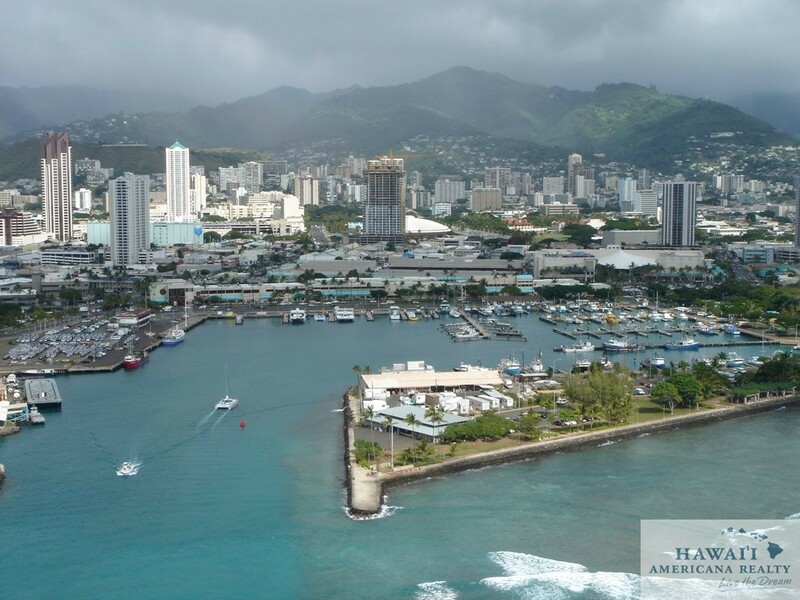 The harbor, which was transferred from the Hawaii Department of Transportation to the HCDA in 2009, has seen some improvements and changes since that time. The state agency set aside almost $5 million from its revolving funds to undergo necessary repairs, and outsourced the harbor management to Almar and even hired Mainland consultants to remodel it. The project aimed to increase the number of boat slips to 250 ranging in lengths from 35 feet to 120 feet, among other improvements.